I have enjoyed creating with clay for over 20 years. A graduate of Staffordshire University (1995), Artist-in-Residence posts at Barnard Castle School, Uppingham School and Pangbourne College gave the opportunity for me to explore and develop my earlier creative practice. 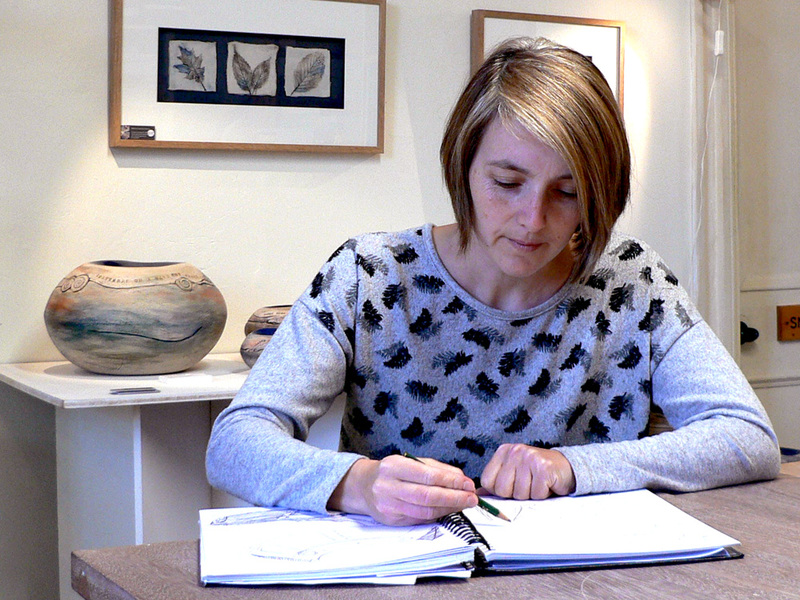 My current studio is at The Hearth Arts Centre, my base since 2004 – in ideal proximity to countryside, city and coast which happily fit with my work ideas and themes. Artworks are available to view and purchase direct from my studio and also from the galleries and outlets listed in my stockists page. I have exhibited in group and solo shows around the UK and am a member of the Northern Potters’ Association. I enjoy sharing my love of clay with people of all ages and abilities. I have run ceramics/pottery workshops in schools, museums and community venues and lead a monthly pottery session for people with dementia at Chrysalis at Tynedale.